If you’re considering selling your Warner Robins GA home or property it’s best to know the pitfalls and mistakes from past home sellers so that you can get your home, condo, townhouse, duplex, land or any type of property sold quickly and for as much profit in your pocket as possible. As a Warner Robins Realtor® I see many listings slip through the cracks and sit on the market for months. Many of these sellers have gone through the gamut of real estate agents and brokerages trying to figure out why their home hasn’t sold. More often than not, these sellers and property owners are making some of the biggest mistakes in real estate. One major mistake is sellers not listing and preparing their home correctly for the right type of buyer. While selling price and staging may not be the issue, if the seller can no longer make the mortgage payment and feel that they need a certain dollar amount of profit to pay off a mortgage they will typically list the property higher than necessary. Although many sellers are concerned about their credit history, if you are either delinquent on your mortgage payment or current but coming up with the mortgage payment each month is getting harder and harder, a short sale may be exactly what you need. 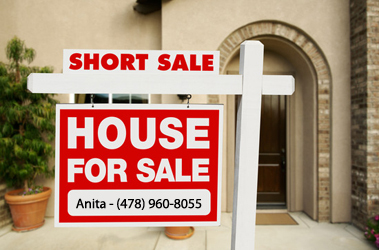 You don’t have to be behind on your mortgage to apply for a short sale. Many lenders will consider a short sale if the homeowner has fallen into some hardship and can simply not make the monthly payment. They will price the home below market value and take the stress and burden off of the seller and get the home sold at a reasonable price. If you are able to make the monthly mortgage payment or you own the home out right and simply need to sell, one of the biggest mistakes sellers make at this point in the game is pricing the home too high thinking their home is the exception. Let me be honest with you, every home is the exception! And because of this, no home is the exception. If you want buyers to pay attention to your property, set up showing appointments, and place offers on the table, you must price your home lower than your competition. If you offer something more for less, buyers will be intrigued and they will feel the urgency to jump on the deal. But, if you are not motivated to sell your home there will be no urgency on your side to price it correctly. You must decide if you are truly interested in getting your home sold or just trying to get the most money for it. This is not the type of real estate market to currently be playing the selling game if you are not a serious seller. These are just a couple serious mistakes that sellers make when selling their Warner Robins home. If you are a serious seller or you are concerned that you may not be able to make your mortgage payment contact me immediately for your options and a strategy to get your home sold quickly and effectively. (478) 960-8055.